All thoughts contained within this post are my own. The end. It has been a few days since I last posted a [6 Nights of Winter Melodies] review, and I do apologise for that, however essays and work are rather important right now, so my time was dedicated to handing in said essays. I have also been lacking in sleep, which has not helped in my posting abilities at all, plus with it being a week before Christmas, everything has been hectic and all that jazz. In short, life happens, I've been busy, the blog took a backseat. That is how it is, ladies and gentleman. During this fifth, penultimate night, let's come together as we once again listen to a melody filled with winter feeling, one that is lovely in sound, yet one of loneliness and wishes to meet once again, too. This winter, will there also be someone in your heart that you dearly hope to meet again? I am not a follower of BoA, though I have of course heard some of her music, so I did not really think to add her into my Winter Melodies mini-series at all, not until I asked my darling friend Hannah if she would list me a few winter-themed songs for me to watch, listen and review. One of the songs sent was BoA's Merikuri, however listed alongside it was Winter Love, and of the two, it was the latter I fell for, both in image and song. Really, it's quite beautiful, so whilst I did not pick out Hannah's choice, she did aid me greatly in finding a song by BoA, one that is as wintry as the others, and just as amazing, too. So Hannah my dear, thank you! You actually saved me, and this series! Whoo! Okay, so first and foremost, BoA is a great singer. It's something even the non-fans know, and I would be a fool to say 'eh, her voice is alright', because it's better than alright - BoA is like a God-send. Her voice is powerful, passionate and filled with an emotion and depth that just sends chills down your spine when you listen to her. She's amazing, and honestly, I love how she sounds here in Winter Love. The song itself is beautiful, too. A power ballad with gorgeous twinkling sounds laced into the instrumental, Winter Love delivers a bittersweet melody that is heartfelt yet lonely. BoA fits the tone of this song beautifully, her voice delivering a sure, solid performance that really takes you into another world when you sit down to listen. Winter Love is magical, in voice and instrumental, and I love how BoA can paint a picture with her gorgeous vocals and the words she sings to us all. The music video for Winter Love is gorgeous too, fitting that cold and wintry mood of the season, as well as the emotional depth of the song. The video is the story about a girl, a recluse and ice queen, of sorts, as well as the subject of a few admirers, however, she already has love for another man. Despite the gifts from other men, BoA only has eyes and heart for one person, a man who she can never seem to be with, because he may no longer be there. With his loss, the girl has ultimately locked herself away from the world, and frozen her heart to those around her, refusing to love another and keeping herself in a place where her memories are alive, but where time can seemingly be frozen. Towards the end, where the balloons are being cut by her former lover, the viewers may find a sense of 'cutting ties' to the video, where her memories of him are slowly disappearing, and she herself gives in to the cold, freezing not only her heart, but her entire being, so that maybe she can be with him once again. I find this video pretty symbolic of someone still in love, who has taken themselves away from reality in order to live in the past, freezing out those around them in order to keep the happiest of memories they have alive. How others see this video will be different to how I view it, but it really does feel like this is a literal translation of freezing people out, as well as having a frozen heart. When BoA looks out of the window, she is alone, whilst those walking around outside are with their significant other, so it feels as if she longing for that once again, but she is not willing to have the affection of another, because she refuses to let go of what had been. It feels sentimental, a sense of longing lingering, wishful thoughts and the hope that, one day, it will be him walking through the door once again. It's a bittersweet story through and through, one that is enjoyable to watch, and one that has really allowed me time to think about it and find meaning within the video. Ultimately, I enjoy Winter Love as both a song and video. BoA is a stellar performer, in both song and acting, and she really delivers to her audience. There is no doubt that she put her heart and soul into this, and I truly believe that this is a gorgeous winter song worth your time. I will admit that, after my first listen of this song, I did not like it. The beat and overall tone just did not appeal to me, and so I decided to stop listening to it before I had even finished the song. It was not until a few days later, however, that I decided to give the song another go, only to realise that, hey, this is a pretty good song! Maybe it was the circumstances I was in (ie, doing an essay) that had me in a mood where I didn't like the song much, but either way,, I went into this knowing I didn't like the song, and now I'm sat here, writing this review, realising that now I quite like it! This is a funny world I live in, aye? Candle Lights is one of those songs that does not sound overly wintry or seasonal, though it does have its elements that keep reminding me it is, indeed a seasonal tune, such as its use of the lyrics snow flakes, and the inclusion of a few small sounds within the instrumental that twinkle and flicker here and there, creating that whimsical, snowy feeling that reminds me of the beautiful winter. Really, though, I just think this song sounds more Spanish than anything, especially that opening sequence. I just feel like I need to get out some maracas and add my own little twist to it. It's a pretty song, but honestly, it isn't my favourite. I enjoy it enough now to fully appreciate how good it is, however I wouldn't exactly say this is going to ever be one of those songs I break out for the winter, purely because it is the least winter-like song on this entire track list. It's a beautiful tune, and Candle Lights has certainly captured me somehow. I enjoy it plenty enough, however I have to admit that it won't ever become the first track I want to listen to, despite how enjoyable and pleasant it can be. Oh gosh, Last Christmas... this is one of those classics I would be subjected to constantly be subjected to as a child when watching the music channel countdowns of the top 50~100 Christmas songs. Heck, I learned the main chorus as a kid, too, and even today I may vaguely remember the lyrics. I also like the song, too, because it's catchy as heck, and it's a nice little Chrimbo jingle that just somehow defines the season, in a way; bittersweet, melodic, twinkling... overall, a pretty tune with nice lyrics and a sad undertone. It's a good song, and yeah, I enjoy it fully, especially during this time of the year. And BoA has covered it. What could be better!? This is a full English cover, so we get some cute pronunciation issues along with a dose of awesome courtesy of BoA herself, and yeah, it's a nice updated cover, one that I find quite cute, actually. BoA sounds really sweet in this track, and I particularly enjoy her accent when she sings in English here, as well as how lovely she sounds all around. Gentle and rather calming, her voice is one that soothes the listener as they fall into the song, a contrast from the power in Winter Love that BoA displays. Not to say this song does not showcase her power at all, because it does, but it's a lot more subtle in comparison to Winter Love or Candle Lights, because she is delivering something a little more sympathetic in tone, I believe. Either way, she sounds gorgeous here, as she did in the previous two tracks, but the gentle tone really allows me to appreciate how soft her voice can feel when listening to her. Seriously, she sounds almost angelic here. Last Christmas by BoA is a great cover track, one that I may put on repeat before the Happy Holidays come to an end. The song itself is already great fun to listen to, and BoA manages to capture its original charm and tone, whilst also adding her own little bit of charm to it, creating a relaxing mood for the bittersweet winter tune. To conclude, this is a pretty great single. Winter Love as an A-side is beautiful in all it delivers, from vocals to the instrumental track, to its accompanying music video. The bittersweet love story is one we know all too well from Christmas music videos, Western and Japanese alike, yet it is one that never seems to get old, either. Both Candle Lights and Last Christmas are rgeat additions to the single, too, especially Last Christmas, which is a nice addition as an English cover to the hit Christmas track by Wham!. BoA has done a great job here, allowing us to dive into a powerful, passionate piece that she has clearly put her heart and soul into. She is amazing, and after listening to this single for the past few days before writing this review, I can really see why she gained as many fans as she has in the years she has been active as a singer. She is great, and undeniably one of the best singers around. I like giving four stars for these things, aye? Honestly though, I do like this single, and it's a single that makes me wonder why I never jumped on the BoA band wagon before, or even now. I mean, I'm a sucker for a good voice (despite liking some very terrible sounding Idols, ahem), and I've always known BoA was good, but... heck, I have no excuses. I'm terrible at following artists, is all, though I know I should give BoA a chance, cause let's be honest; she's worth it, I bet. 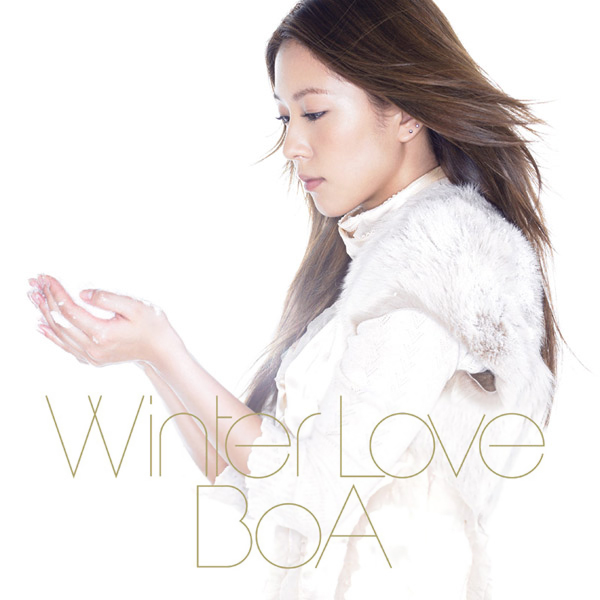 But yeah, I enjoyed it, I loved the wintry sound this single held, and I adored BoA's voice. What more can I say on this matter? And now, with that all said and done, I am off for some much needed sleep! Hopefully you are all enjoying your holidays so far, and I hope that you are keeping well! Until next time everyone, please take care, stay happy and healthy, and of course, love your Idols to the fullest! Ahh! BoA! Winter Love! It's beautiful and definitely fitting for Christmas :) Also brings back good times - I've been following BoA's long career and I remember playing Winter Love back in high school.